If you’re an avid traveler, you know most countries require that foreigners apply for a visa before entering said country. For Brazil, the process is not different. If you’re planning on visiting Rio de Janeiro, São Paulo, Bahia or any other state in this beautiful country, you may need a visa for Brazil. Every country has different visa agreements with Brazil. So, before requesting your visa, make sure which type of visa – if any – you need for your trip. Check this link for the list of countries and corresponding visa requirements. You can request your visa at the Itamaraty – Ministry of Foreign Affairs – website (access it here) or with your local Brazilian consulate. If you don’t have time enough to take care of a Brazilian visa yourself, you can contact an immigration lawyer or a travel agency to help you with that. Visa requests can be bureaucratic and are not always cheap, so make sure this extra cost fits your budget. Imagine you’re traveling to South America and the flight ticket is cheaper for Brazil than your final destination. With the Transit Visa, you’re allowed to enter the Brazilian territory, leave the airport and stay in Brazil for a maximum of 10 days until reaching your final destination. With this visa, you can only enter Brazilian territory once and you cannot extend it. If you’re only stopping over the airport to take another flight somewhere else, no visa is required though. You also don’t need this kind of visa if your country has a visa waiver agreement with Brazil. This visa is for foreigners who are coming to Brazil for tourism, seminars, competitions, conferences, among other purposes, on a temporary basis, without purposes of immigration or the exercise of paid activity. You can stay in the country for 90 days, being able to extend your visa just once for another 90 days. For the visa extension, you need to go to the Federal Police station and make a requirement before your visa expires. With this kind of visa, you’re not allowed to do a paid job in Brazil. For foreigners who need/want to come to Brazil for business, with no intention of immigration, this kind of visa is required. This is a temporary visa and works similarly to the tourist visa: you can stay in Brazil for 90 days and extend the visa for another 90 days if you make a requirement before the visa expiration date. This visa is granted for those who come to Brazil for business meetings; media coverage and/or filmmaking; adoption of a Brazilian child. If you coming to Brazil to do technical assistance services of any nature or engage in any activity under employment contract, you need another type of visa (check Work Visa below). This type of visa is intended for foreigners who come to Brazil to work for companies in the country. The company must previously apply to the Ministry of Labor and Employment for the corresponding work permit. This visa is granted for up to 2 years and may be extended another 2 years before you get permanent status. You can apply for a Student Visa if you are coming to study in a regular school, university or course. You can also request it if you’re in Brazil for a volunteer work. The Student Visa for Brazil is valid up to 2 years – the amount of time you’re legally allowed to stay in Brazil depends on the type of study (high school, cultural course or volunteer work) you’ll be doing. 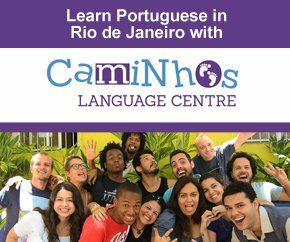 Caminhos Language Centre can help you with a 6-month or 1-year visa if you decide to study Portuguese in Rio de Janeiro. The process is very simple and the school will guide you and support you through the entire process. 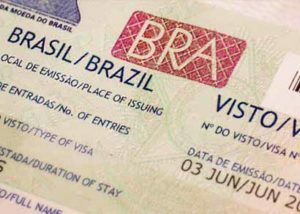 If a foreigner student stays in Brazil for at least 6 months, immediate family members can also apply for this kind of visa. Foreigners under the Student Visa may have a job with remuneration of any type. Family reunion: Spouse (married or under civil union) or informal domestic partner; Brazilian children (under 18, under 24 if attending college, children with special needs); unmarried orphan sibling, grandchildren or great-grandchildren (same conditions as “Brazilian children apply); parents who are unable to provide for themselves and/or with special needs; parents with custody of a Brazilian child that depends on the parent financially. This type of visa is granted to Mercosur citizens, who may apply for a Temporary Residence Visa in a Consular Office. After two years in Brazil, you can request a permanent resident status to the Federal Police. This visa is granted to personalities and foreign authorities on an unofficial trip to Brazil; domestic workers of foreign mission based in Brazil or of the Ministry of Foreign Affairs; foreign artists and sportsmen traveling to Brazil for free and eminently cultural events. The applicant must be the bearer of a diplomatic passport. This type of visa is granted to foreign authorities and employees who have diplomatic status and come to Brazil on an official mission. Diplomatic Visa may also be granted for tourism trips of Heads of State or royal family member. Granted to foreign administrative staff traveling to Brazil on an official mission or to any foreigner traveling to Brazil under the official seal of their State. 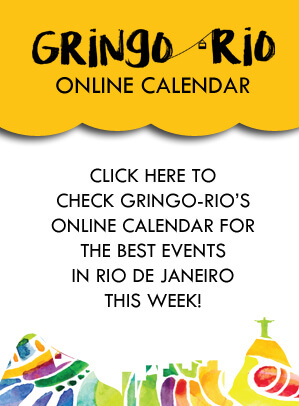 If you need information about how to extend your visa for Brazil, check our page Extending Your Visa in Rio – A Hands On Guide.